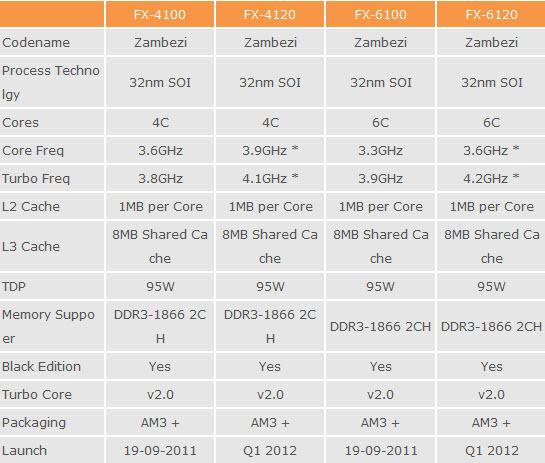 Chinese Website Corescn.com has detailed info on AMD’s Upcoming Bulldozer (Zambezi-FX) Processors. The website claims that the B2 Revisions of the CPU’s have hit production and would be available by late Q3 2011. The Bulldozer CPU’s were previously delayed because of a Performance bug, The new B2 Revisions were said to go under mass production in August 2011 and would hit retail markets by Late September 2011. The Release of Bulldozer on September 19th is highly likely as mentioned in our earlier post here. 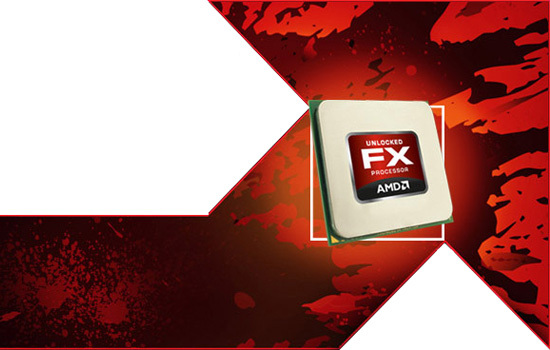 The first two CPU’s based on the new B2 Revisions includes the FX-8150 (FD8150FRW8KGU) Featuring 8Cores/8Threads, 8MB L3 Cache, Stock Frequency of 3.6Ghz (Turbo – 4.2Ghz) while the other FX-8120 (FD8120FRW8KGU) is also an 8 Core CPU with same specs and just a little low clock frequency of 3.1Ghz (T.C – 4.1Ghz). Both CPU’s feature TDP of 125W.